Lightweight materials are essential for saving energy in the automotive industry. 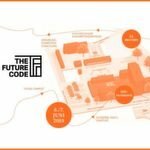 New lightweight solutions for future mobility are essential and can be realised through innovative steel materials. Furthermore, Steel is 100% recyclable, thus contributing to overall conservation of resources. 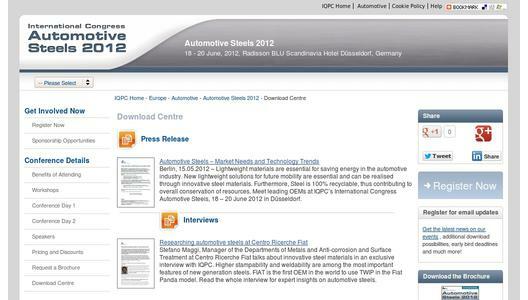 Meet leading OEMs at IQPC’s International Congress Automotive Steels, 18 – 20 June 2012 in Düsseldorf. At our conference, get to know which steel technologies are the best for innovative auto applications and find the optimum steel materials for alternative powertrains such as EVs and HEVs. Leading experts from OEMs such as Opel, Peugeot and General Motors and suppliers such as ThyssenKrupp, Tata and Ruukki Metals will be onsite and engage in discussions of newest developments in steel materials and steel processing. Additionally, conference participants can take part in a site visit to the ThyssenKrupp plant in Duisburg.